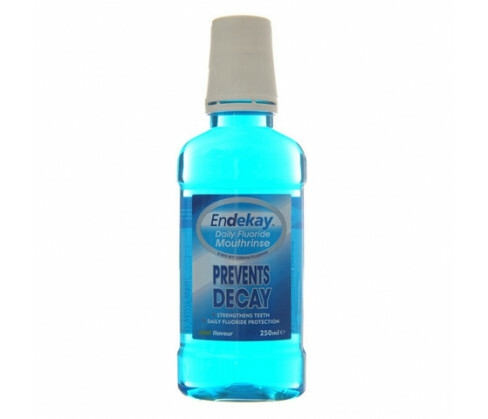 Endekay Daily Fluoride Mouthrinse is an effective mouth wash that is used as everyday protection for your teeth and gum. 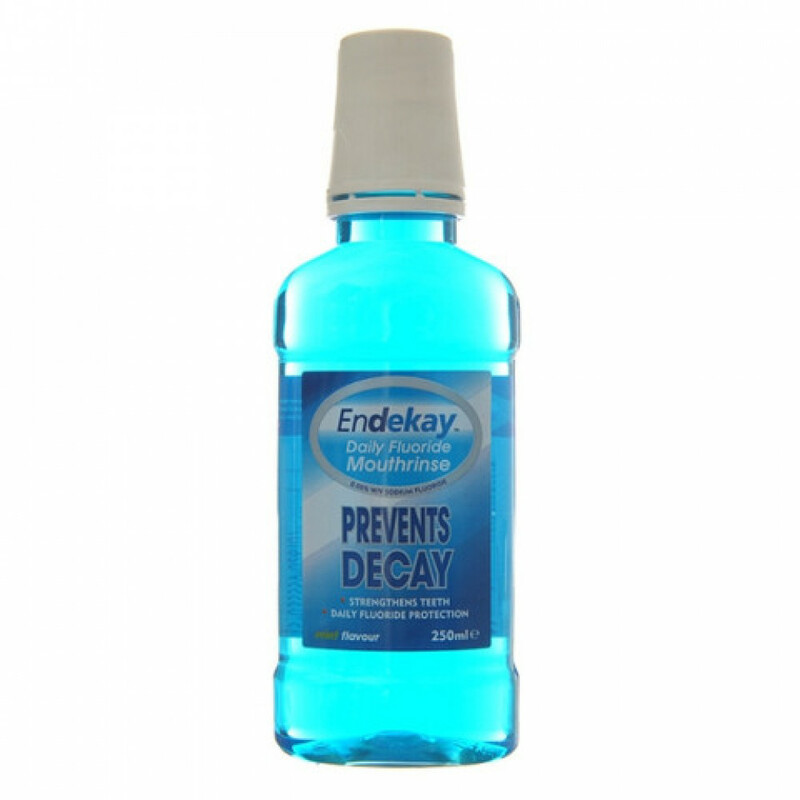 This specially formulated mint flavoured dental solution helps to strengthen teeth by preventing tooth decay. For best results you must use this mouth rinse daily. It is effective in preventing dental caries, fortifying tooth enamel by promoting remineralisation. It is effective in healing early spots of decay and preventing them from becoming cavities. Not recommended if you are hypersensitive or allergic to sodium fluoride or any other constituents. Use this product after consulting your dentist if you have intolerance to certain sugars. Never exceed recommended dosage. Do not swallow while rinsing your mouth. This formulation is not advised for children below 6 years of age. Keep this safely away from children?s reach. Discard once expiry date is over. Store this product below 25C. Half fill the measuring cup provided and use it once daily for rinsing your mouth. Rinse mouth thoroughly for at least 1 minute before spitting out. The mouth rinse is said to contain 0.05%w/v of Sodium Fluoride which is equivalent to 0.23mg of Fluoride ion per 1ml. Other constituents include Sodium Benzoate (E211), Sodium Saccharin, Sorbitol, Menthol, Ethanol, E131, and also, Peppermint Oil.